Decorating Easter eggs is a beloved and long-standing holiday tradition, but this year, we’re challenging you to get a little more creative. We’ve rounded up 11 incredible DIY tutorials—featuring confetti embellishments, metallic flash tattoos, and even whipped cream—from some of our favorite bloggers. Ready to get cracking? Read on to see how you and your family can recreate these eggs-cellent ideas. 1. Dip them in confetti. Here’s a crowd-pleasing combination: pretty pastel dyes and metallic confetti. Click here for a step-by-step tutorial. 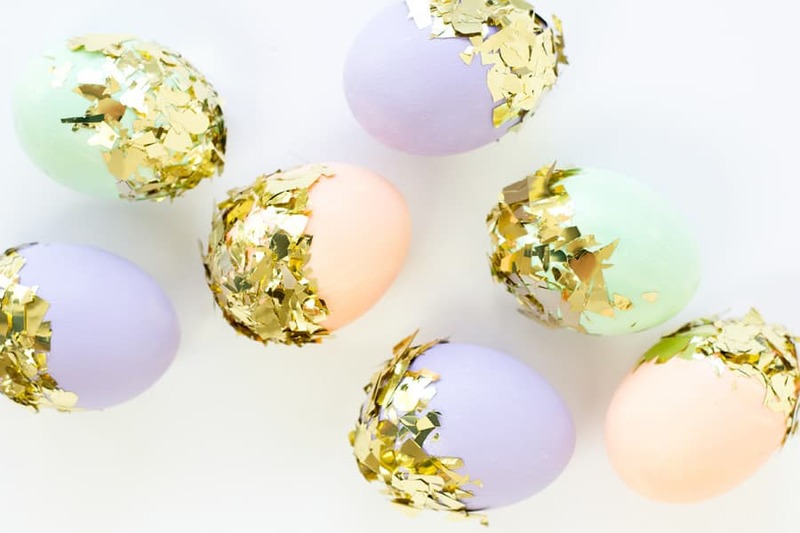 Your Easter egg hunt might get a little messy, but these glitter-flecked designs are well worth the clean-up. Click here for a step-by-step tutorial. Photo courtesy of Girl. Inspired. All you need to recreate these striking geometric patterns are paint pens and a tiny bit of artistic skill. Click here for a step-by-step tutorial. 4. Fill them with cement. These eggs are filled with a surprise element (it’s cement! ), turning each one into a paperweight that can be displayed well beyond Easter. Click here for a step-by-step tutorial. 5. Channel your inner Impressionist. Choose a color scheme, break out the acrylic paints, and recreate this simple yet stylish brushstroke design. Click here for a step-by-step tutorial. With a little imagination, you can transform your Easter eggs into charming cactus plants with green dye, a felt marker, and a few terracotta pots. Click here for a step-by-step tutorial. 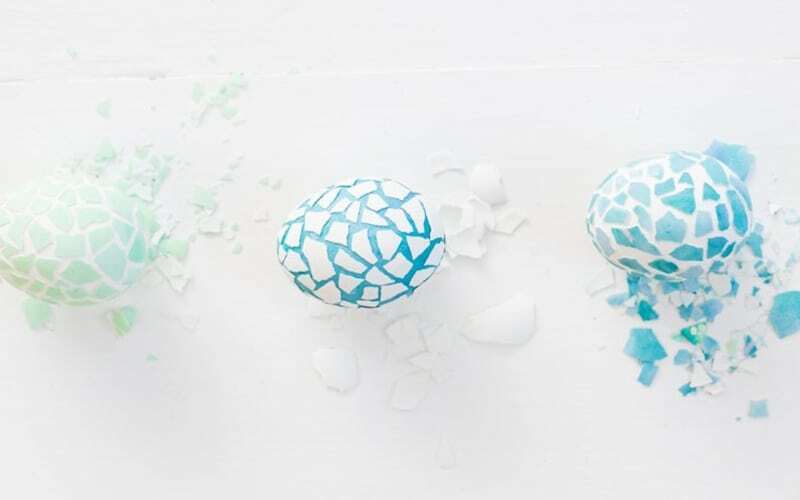 For a truly original idea, try placing cracked shells directly onto hardboiled eggs for this cool mosaic design. Click here for a step-by-step tutorial. 8. Dye them with a secret ingredient. Believe it or not, whipped cream lends these eggs their delicate, watercolor-inspired look. Click here for a step-by-step tutorial. 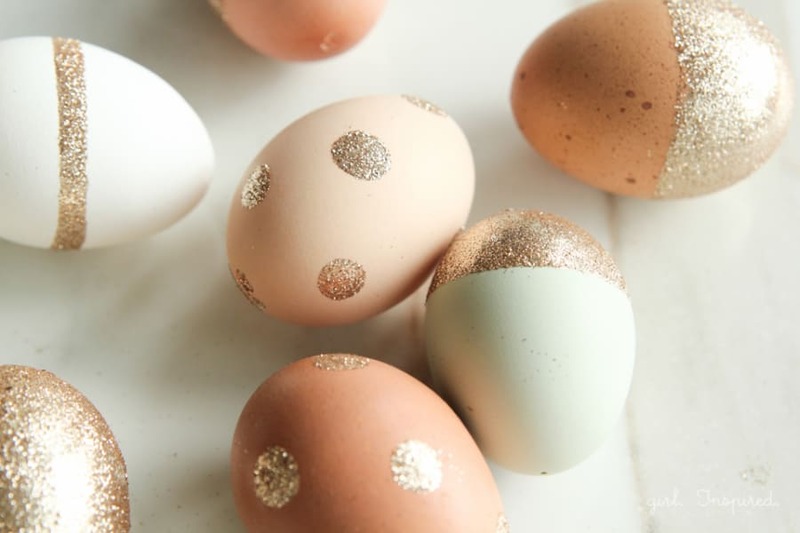 Thanks to a few carefully applied coats of spray paint, these eggs boast a beautiful ombré effect. Click here for a step-by-step tutorial. 10. Splatter them with paint. This pretty pink-and-gold palette is perfect for Easter—and requires just a couple paintbrushes and acrylic paints. Click here for a step-by-step tutorial. 11. Break out the temp tattoos. This easy how-to calls for metallic flash tattoos, which look especially stunning against brown eggs. Click here for a step-by-step tutorial. Click below for all the craft supplies and tools you'll need to recreate these Easter eggs!